Missing in action for nearly six years has been Labyrinth, one of Italy’s seminal and leading progressive power metal bands. 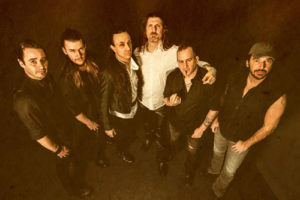 Yet, the musical muses at Frontiers Music were able to persuade founding members and guitarists Olaf Thorsen and Andrea Cantarelli, with frequent vocalist Roberto Tiranti, to consider making a new album, and then play at the first Frontiers Metal Festival in the Fall of 2016. Gathering a new crew, including drummer John Macaluso (TNT, Riot, Ark, et al), keyboard player Oleg Smirnoff (Vision Divine, Eldritch), and bassist Nik Mazzucconi (Edge Of Forever), the band did both things. The new album is Architecture Of A God, and it’s pretty fandamntastic. My first impression of the album was something like, this doesn’t sound like progressive power metal, at least the “power” part. It’s not until the third song Take On My Legacy that you get any real raging gallop in a song. Then you need to wait until Stardust And Ashes, eight songs later, to get more full throttle power metal. Mind you, I’m not complaining, because the rest of the songs are varied and interesting. Mostly, Architecture Of A God could best be described as melodic heavy metal with a strong current of hard rock groove and the twists of progressive metal. After these things, other elements stand out such as the harmonious vocal arrangements, the keyboard play that adds color and sometimes duels with the guitar leads, and the richness of the melody and groove that gives many of the songs a true AOR feeling. All these things are found within Still Alive, A New Dream, Someone Says, We Belong To Yesterday, and Those Days. And then there’s the abundance of thrilling guitar work from Thorsen and Cantarelli. Particularly inspiring lines come within A New Dream, We Belong To Yesterday, Bullets, and the title cut, Architecture Of A God. That song is likely the most technical of the bunch, in the progressive metal sense. It’s marked by a twisting arrangements, a juxtaposition of subtle and powerful parts, and a sweet but small bass solo about two-thirds in before the leads fly. There also two instrumentals: Random Logic which precedes the title track and Children, which features that tandem play between synths and guitar. It’s all good, friends. 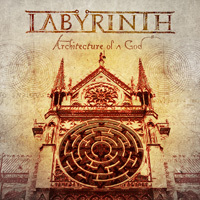 Labyrinth’s Architecture Of A God is a strong and impressive return to form for the band, offering both creative and entertaining melodic progressive metal. And I’ll go out on a limb here and say it’s probably as good as their classic Return To Heaven Denied. Easily recommended.